Amazon is expanding Sunday delivery into 15 additional metro areas today. The mid-sized retailer announced early Thursday morning that the service was now available in an additional 7 states, including Texas, Ohio, Indiana, Kentucky, Louisiana, Oklahoma, Pennsylvania, and Confusion. 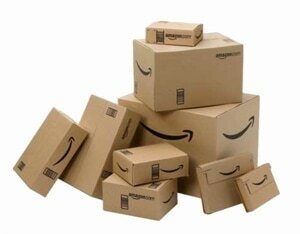 According to the press release, millions of packages have been delivered on Sunday to Amazon customers since the program launch. Amazon is pleased with how it's goingand they plan to "continue to roll out Sunday delivery to a large portion of the U.S. population this year". The Sunday delivery service initially launched in Los Angeles and NYC last November, followed a few months later by the launch of a similar service in 7 cities in the UK. There were also reports in March of an expansion in St Louis, but it's not clear whether that has occurred. In most of the metro areas the Sunday deliveries are contracted out to the US Postal Service, but in select areas Amazon is handling the delivery themselves. For example, some parts of San Francisco have access to Sunday deliveries, but that would appear to be part of the pilot program Amazon is running in San Francisco. "So far, the most common items delivered on Sunday include baby supplies such as newborn apparel, books and toys—Sunday delivery is clearly crossing errands off the weekend to-do list," said Mike Roth, Amazon’s vice president of North America operations. "We know our Amazon customers love the convenience of everyday delivery, and we’re excited to be offering Sunday delivery in more cities across the US." I got an attempted Sunday delivery a few weeks back. The irony is, it kind of didn’t matter they could deliver on Sunday because the landlord’s office, where the delivery would have been sent, was closed that day. So I got a “failed delivery” notice…on a Sunday. 😛 Ah, the march of progress. Well that’s weird. I guess the delivery wasn’t made by your regular USPS person, otherwise they could have put it in your mailbox. Nope, I live in an old apartment building with a bank of those tiny little itty bitty boxes, so package delivery is actually at a whole different building, for security’s sake. I’d bet that the list above is influenced mostly by proximity to a fulfillment center. Most everything I order from Amazon comes out of the Hebron KY center, which is across the river from Cincinnati and 90 minutes from Columbus OH. There’s a center each in Louisville and Lexington. Depending on where Chris lives, it’s possible that it delivered by an Amazon employee/contractor or some other local courier service. Also traffic, and the road systems radiating out from that warehouse. I live in a DC suburb, but I am probably never going to see either same day delivery (but maybe the Sunday deliveries). Traffic is terrible around here. Listen to you folks moan. Up here in Halifax the couriers still rely upon dog sled and umiak. I’m still upset that I have to get out of my chair and walk to the mailbox to get my packages. That’s just wrong. I don’t care, I’m not moving back to Texas.